Cream together cream cheese, butter & powered sugar & vanilla. In separate bowl mix milk & pudding chill until set. Fold in cool whip after pudding has set. 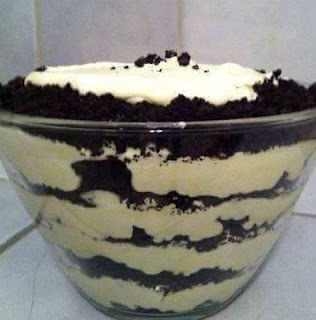 Add cream cheese mixture, layer with Oreos... Chill until ready to serve!